The rich cultural past of America is often brushed aside by music histories which prefer to dwell on twentieth-century developments whilst leaving the earlier periods to be eclipsed by European models. 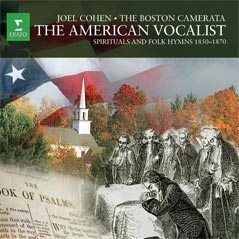 But America does have some records of its own early music traditions and Joel Cohen has been steadily bringing these back to public attention through his performances with the Boston Camerata for over twenty years. It is therefore especially pleasing to find that Erato are re-releasing his albums and it should renew our enthusiasm for these very evocative forms of music that tend to dwell on the periphery of our collective subconscious without ever getting proper attention. Revealed here is a once-suppressed or forgotten vein of music tradition with roots in folk music and spiritual song. Cohen argues that whilst middle-class America tried to emulate European musical developments it largely ignored founder's traditions that flourished outside bourgeois circles. Having previously explored some of the Shaker music repertoires (Simple Gifts – Erato 4509-98491-2) the Boston Camerata turn to the Southern shapenote songbooks and old hymnals of New England to rediscover the spiritual singing of early America. Trav'ling Home and The American Vocalist present a tradition of intuitive and instinctive compositions written and orginally performed, largely, by non-professionals. On both albums the Boston Camerata give very straightforward, no-nonsense performances which capture the fervour and zest of religious life. In Trav'ling Home they are joined by The Schola Cantorum of Boston and the Brown University Chamber Chorus for a programme which is often divided into men's or women's voices. This album, in particular, treads a careful line between strong rhythmic energy and an air of improvisation where all the skill and craft of the folk-musician abounds. Students of music may scoff at the technique behind these works but no one could doubt the raw power of this music. Some of its familiarity probably comes from the way it has often been (mis)appropriated by film scores and other such pastiche forms but the Boston Camerata's performances strip back all recent references until the simplicity is laid bare. In The American Vocalist Cohen's ensemble join forces with The Schola Cantorum of Boston and The Chamber Choir of the Harvard-Radcliffe Collegium Musicum for an even more minimalist offering. Many of these hymns and tunes are in just a few parts and here the sense of a familiar story being told is at the fore especially from the malt-rich tones of alto, Elizabeth Anker whose performances are quite outstanding examples of this intimate style. 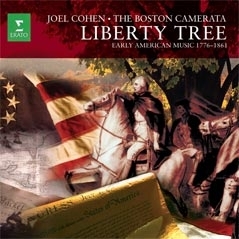 My favourite has to be Liberty Tree, a collaboration with Harvard University Choir offering an eclectic mix of partsong, marches, anthems, jigs and ballads; I found many derivations of tunes from Greensleeves to the British national anthem lurking in these maddeningly catchy works. They may not all be perky, there is even a very arresting setting of 'David's lamentation', but the overriding tone of the album is set by the cheeky rendition of the opener - Yankee Doodle. Quite what Cohen has created by using professional singers for what is clearly an informal and irreverent song is an open question but I love his energetic approach and find this whole programme unexpectedly delightful. 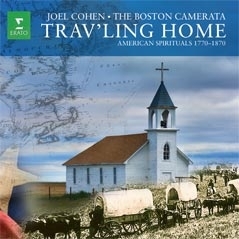 In these albums the Boston Camerata, with their trademark finesse, traverse a number of folk styles with an impressive ease. And whilst I can't imagine too many situations in which I would actually listen to this music regularly, they are a fascinating and attractive anthology of half-remembered traditions that piqued my interest far more than I expected. This music and these performances are a very pleasant find indeed and well worth the effort of getting to know.